Water purification refers to removal of unnecessary bacteria and dirt from drinking water. Drinking water contains lots of undesirable chemicals, materials, and biological contaminants. Purification of water may also be done for medical, pharmacology, chemical and industrial applications. Today, a number of companies have come up with water purifiers so as to feed the people of India with pure drinking water. Here is a list of the best and cost effective water purifiers of India. Eureka Forbes is a part of the Shapoorji Pallonji Group and today it is a 13 billion INR, multi product and multi channel corporation. Aquaguard is the undisputed leaders in domestic and industrial Water Purification Systems. Many water purifiers are available such as Aquaguard Total SENSA, Aquaguard Sure UV, Aquaguard RO, Aquaguard UF, Aquaguard Total DUO. 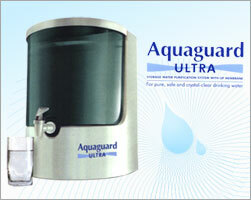 The Aquaguard purifier is equipped with E-boiling +, UV+, RO+ UF+ and SMP+ technologies that can purifies any kind of water. Aquaguard gives you the triple benefit of sweetness, minerals and purity, Giving you water that’s perfectly balanced, with the right amount of minerals and salts. Hindustan Unilever Limited (HUL) is India’s largest Fast Moving Consumer Goods Company with a heritage of over 75 years in India and touches the lives of two out of three Indians. Hindustan Unilever Pureit does not require electricity and gas and gives you Clear, odourless and great tasting water. It is Extremely affordable and economical and easy to use. 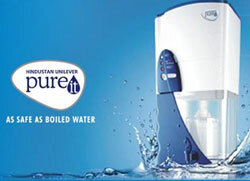 Hindustan Unilever Pureit water purifier gives pure and clean drinking water which is as safe as boiled water. Pure it Water filter is better than any other UV water. 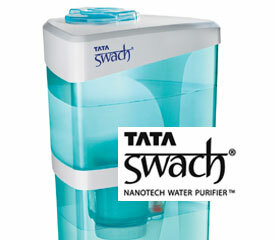 The Tata Swach water purifier is developed by Tata Chemicals, a part of the Tata group in India. The Swach is a low cost purifier for Indian low-income groups, who lack access to safe drinking water. The product is sold in three variants on the Indian market; Tata Swach, Tata Swach Smart and Tata Swach Smart Magic. TATA Swach TSRF technology destroys harmful bacteria and viruses and its performance capabilities have been tested across reputed laboratories in India, United Kingdom (U.K.) and Netherlands. Purification capacity of TATA Swach Bulb is upto 3000 litres. Kent RO water purifiers system are best drinking water purification machine in India, used for portable domestic water purification with mineral reverse osmosis. 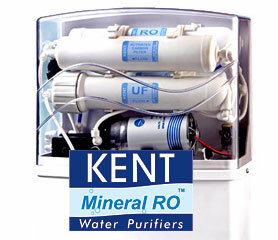 Kent Water Purifier Removes even Dissolved Impurities like Arsenic, Rust, Pesticides, Fluorides etc. besides removing Bacteria and Viruses, and for double purification, it totally kills remaining Bacteria and Viruses. Philips India provides Innovative water purifiers and filters from Philips that keep you and your family safe from impurities and harmful chemicals. Healthy water begins with Philips. 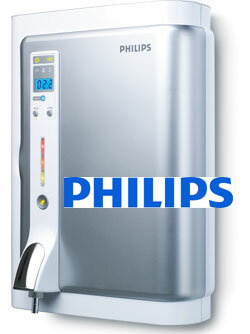 Philips water Purifiers are certified and awarded Gold Seal by WQA. Advanced state-of-the-art UV (PLS) technology destroys known waterborne viruses, bacteria,parasites and amoebae while the activated carbon and sediment filter removes turbidity, chlorine, volatile organic chemicals (VOC’s), cysts, larger micro-organisms and improves taste. Hi-Tech Ro Water Purifiers are best and reasonable in prices with installation guide. Hitech RO has gained a great demand in the market with quality product and after sales service. Long lasting performance, effectiveness in purification and reliability are the characteristic features of all Hitech RO water purifiers. Hitech Ro serves worldwide market including USA, India, Asia Pacific, Middle East and Europe. The use of the RO water purifier is recommended in areas where the total dissolved solids in water are above the acceptable standards. Kenstar is the name of a brand covering a wide range of home appliances. Started in India in 1996, Kenstar is a division of Kitchen Appliances India Limited, a subsidiary of the Videocon group. 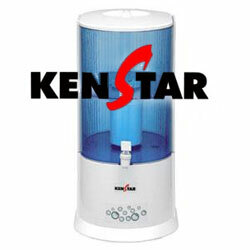 If you want a quality purifier without paying an extremely high price, consider a Kenstar purifier. Kenstar water purifiers are a great example of a quality middle-of-the-road model. They offer a range of great features, however, with a reputation for quality manufacturing. 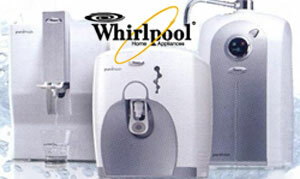 Whirlpool Water Purifiers are equipped with 6th sense technology and provide extremely pure drinking water. 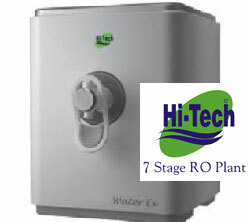 Different models of whirlpool water purifiers are available, such as Deluxe RO, Elite RO, Deluxe RO with MES, Elite RO with MES, UTS RO, Platinum RO and many more. Different water purifiers have different features and prices, but are best in class when it comes to service. 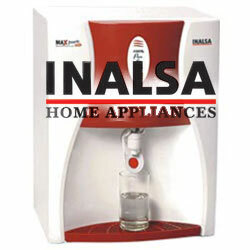 Water Purifiers from Inalsa Appliances Limited provide pure and safe drinking water, purified from the latest technology used by Inalsa. The tank has to be filled up with water and you get pure drinking water when the tap is opened. Founded in 1967, The Inalsa brand has always been the first choice of Indian customers. Today, we are one of the fastest growing small appliance companies in its domain. 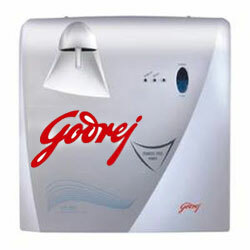 Godrej Water Purifiers provide safe drinking water as they are equipped with latest technology. The Godrej Group is one of the largest players of Home Appliances in India and has always delighted the consumer with relevant technology in a wide range of products. Godrej gives best water purifiers for healthy drinking water. Other popular water purifiers are from Zero-B, Usha Brita, Hemkund, Modi Durant, Alfaa.